How to Convert FLV to MP4? Resource > Video > How to Convert FLV to MP4? Summary: How to convert FLV to MP4? Never miss out the FLV to MP4 converter in the article. Here is the detailed guide of how to convert FLV to MP4 with the powerful converter. Many people, professionals as well as amateurs, need to convert FLV to MP4 files for various reasons. This article focuses on the top program available for this job, and describes how to do this conversion in an easy and simple manner. You will come across a lot of this kind of software online, but only a few of them are really up to the task. Let us take a look at how to use an FLV to MP4 converter, with the least bit of technical jargon to make it a comfortable read for you. A quick spoiler: we had tested out many different programs in order to see which ones were the best, and the unanimous decision was in the favor of DVDFab Video Converter. So this is the program that we are using to describe the process of conversion from FLV to MP4. What are FLV files and MP4 files? FLV means Flash Video, and a file having FLV extension will have to be played on Winamp, Adobe Flash Player or Adobe Air to ensure that the audio/video is transmitted over the internet. The videos that you see on YouTube or Hulu are of the .flv format. VLC is also a good example of an FLV file player. It is to be noted that this file format is gradually dying out in favor of HTML5. This is why people are tending towards opting for FLV to mp4 converter free. Some people look for FLV to MP4 online, but that is not really recommended, because the output quality of the file does tend to disappoint at the end of the day. A file with a MP4 extension is actually an abbreviation of MPEG-4 video file. It is a file format which stores video, audio as well as subtitles in a compressed format. FLV format and MP4 format are two entirely different formats and it is possible to convert FLV to MP4 with the help of video converters like the DVDFab Video Converter. We take a look at this amazing converter and how to convert FLV to mp4. DVDFab Video Converter is not a new kid on the block. It has over a decade of solid developer experience behind it, and every new version of this software appears to be getting better with time. 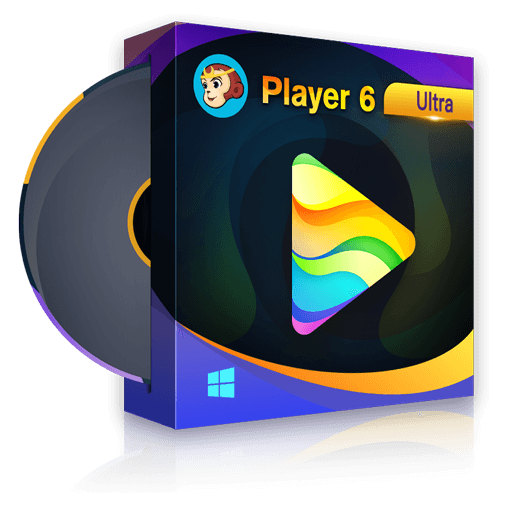 This beautiful software will appeal to both professionals as well as amateurs because it is extremely versatile and can really show youhow to convert FLV to MP4 without any loss whatsoever in terms of quality and pitch. Its strength is its versatility and it can really deliver on multiple output platforms like game consoles, tablets and smartphones, covering every major manufacturer all over the world. Most people use for FLV to MP4 conversion, because MP4 is here to stay. This software has a host of professional features that will keep you occupied till the wee hours of the morning, as you play around with its endless customization options. It has appeal to just about anyone who wants to convert FLV to MP4. Because you are looking to convert from FLV to MP4, it can store your preference as a default setting as well, so that you do not have to go through the same rigmarole every time you want a conversion to be done. It is a major time saver in this regard, taking inputs of the minutest details of the users expectations. And even if you do not save the settings as a default setting, DVDFab Video Converter remembers the settings of latest conversions done, so you can also go about it in that manner. There may be instances where the video length is quite long, and you would be dreading the idea of having to sit by your computer while DVDFab Video Converter goes about its job. You could not be more far off the mark! This software will show you a preview with frames of the output MP4 files such that you get a very good idea of how the final video quality is going to be like. This FLV to MP4 converter free does the job of conversion very fast, at around 15 fps which is good by any standards. For professionals, it offers options to change the resolution, the method of encoding, frame rate and the bit rate as well. Here are the steps you need to follow in order to ensure a hassle free conversion from FLV to MP4. You cannot use this as FLV to MP4 converter online. The software needs to be downloaded from the official website and installed in the programs folder on your computer. Downloading this software is as easy as 1, 2, 3 and there are absolutely no hassles with this step of the process. Just make sure that you are installing the FLV to MP4 converter in the directory where other programs are installed. This makes it easier to be located, but hey, you will be having an icon on the desktop as a shortcut to the program, so there is no fear of getting lost in a maze of folders. The program allows users to click and drag the FLV file to be converted from the folder in which it is stored and then dropped on to the DVDFab Video Converter program. For technical people out there, there is an option to upload the FLV file to the program. Both of these methods work equally well, and you are free to choose whichever you are comfortable with, it doesn’t really matter how you add the FLV file, because the results are the same. This is the best FLV to MP4 converter free by a long distance! From the profile library, click Format-Video-General/Filter in order to choose the format of the output video. DVDFab also allows for customization of the video, a feature that is rarely found in other software of the same type. The name of the video can be changed, audio tracks chosen and also room for subtitles. Clicking the editor button allows trimming, cropping and addition of subtitles and watermarks. There is provision to change the brightness and contrast, along with saturation. Clicking the “wrench” icon you can change the resolution, frame rate, bit rate and more. This is the best software toconvert FLV to MP4. After saving changes, all you need to do is to hit the “Start” button, after making sure that the output is selected as MP4. Now all you need to do is grab a cup of coffee as DVDFab Video Converter converts FLV to MP4 as smoothly as a cat. The output file will be stored and saved in the location that you specify, without any fuss at all. DVDFab Video Converter is a top notch program and by far the best FLV to MP4 converter out there. It allows users to have one free month, after which it becomes a subscribed program. We strongly recommend this wonderful program as the very best for conversion of FLV files to MP4 files. Check this article if you are searching for a great romance movie. Here is the list of top 10 best romance movies on Hulu. How to Add Subtitles to MKV Videos on Windows/Mac? Do you want to add subtitles to your MKV videos? Here we will show you some subtitles adders and teach you how to add subtitles to MKV files with only a few mouse clicks. In this post, we will talk about new Christmas songs that deserve to be played in the background while the Christmas celebration is going on.